Jesse’s transition from a steeple chaser on the Standford track team to winning his first Wildflower in 2011 as a last minute entry with a borrowed bike and aero helmet is a great example of the inspiring “hero journey stories” that triathlon often creates. He was such an unknown that the announcer had to ask him for his name! Jesse is also one of the smartest guys in the circuit – he holds an MBA from Stanford and runs “PickyBars” together with his wife Lauren Fleshman (an accomplished athlete of her own). For the last two seasons Jesse has been focused on racing Kona, this year he’s doing “cool races in cool places”. This included Challenge Wanaka in New Zealand (3rd place), and of course Wildflower (he finished second to Rudy Van Berg). Now he’s focused on Challenge Roth. Even though Jesse has raced four IM races, he’s still quite hard to predict – all of his races have been on slow courses (Wales, Lanzarote) or in deep fields (Kona) where he had to take extra risks in order to place well. We know that he’s going to be a bit slower than Sebi in the swim, so it’s unlikely that he’ll be able to join the front group on the bike. But there are slower swimmers but nominally faster bike riders, and he may be able to find someone that can pace him well over the Roth bike course. And while he’s probably not a low 2:40 marathon runner, he has been able to run fast when it mattered such as when he was able to run down everyone (including Jan Frodeno and David McNamee) when he won IM Lanzarote. So while his podium chances don’t look good on paper, he is racing without any pressure – and he seems to be doing well in races he just wants to enjoy. Thorsten: How well-known is Roth in the US? Jesse: All my career I’ve heard Roth is one of the top bucket list races in the world. Yes, I don’t think it has as much fame in the US as in Germany, but that’s honestly part of the reason I’m doing it. There are so many awesome races outside the US and outside the Ironman umbrella that I want to experience and that I’d like to promote to my fans and followers. I believe the experience will be amazing as that’s all I’ve heard from my fans and competitors who have races. Challenge has been very kind and gotten me a homestay and I’m super thankful for their help and interest in having me there. T: Just like for Wales (your first IM win in 2015), you’re making the trip to Europe with your family, now grown to Lauren and two kids. J: I’m nearing the time in my career when I know I only have a limited amount of experiences left in the sport and the time with my kids is super high priority. I’m doing my best to involve them in all the big races this year because of that. Jude is old enough that he may remember some of them and is definitely influenced by them. It’s fun for me to be able to share my “job” with him for a while. It will be much different because Wales was my first Ironman, but it will also be the same because I’m going to Roth to have fun and discover what I can do with my family along my side. T: You’re “leaving behind” the Picky Bars business, how will they deal without you and Lauren not being there for the day to day questions? J: I have a super capable staff who is used to me not being in the office much during my peak training and racing seasons. I’m always a phone call or email away and I do work right up until about a day or two before the race depending on what’s going on and what my staff needs from me. But business is a marathon and while I’m gone for a couple of weeks, our business is big enough now it will keep going in the mostly same direction while I’m gone. I have a lot of trust in my employees, that’s the way I lead, we’re a team and each person is capable and responsible. T: Your race in Wildflower this year was a good second place, but your race report almost sounded as if you were saying “goodbye”. How much longer do you see yourself racing at a professional level? J: I think I have one or two more years. I could race more physically, but family and business are pulling me mentally away from the sport. I’m more and more cognizant of the time I’m missing with my son as he ages – he starts Kindergarten this fall. I don’t want to always be tired and training and less able to do physical activities with him while he’s a child. I also have some big goals for our business, and at this point in my life, the positive impact Picky Bars could have on my family and community is bigger than me accomplishing almost anything in triathlon. T: You’ve never really done a “crazy fast” bike course in your IM races. How does that play into your plan for race day? J: Part of the reason I chose Roth was to hopefully put a “time” stake in the ground for a faster Ironman. I’d like to see how I can do on a fast course in the right conditions. You never know what race day will be like and how I’ll feel, but I think there’s an outside chance I could near or crack the 8-hour mark with a great race. It might be a stretch, but it would be one of the last cool feathers in my cap for my career. 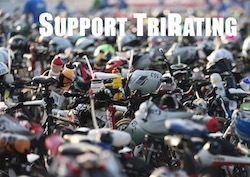 I’m training to race fast the whole way, try to stay with people when it makes sense, and have a great run off the bike. After running 2:46 at Lanza in hot conditions, I think I’m capable of faster than that on the right day, so we’ll see what happens. T: While your wins in Wales and Lanzarote came as surprises and you’ve been able to deliver relatively “controlled” races, it seems that in Kona you were caught by the race excitement and probably didn’t fully exactly execute your plan. Where do you think Roth will fall on that spectrum? 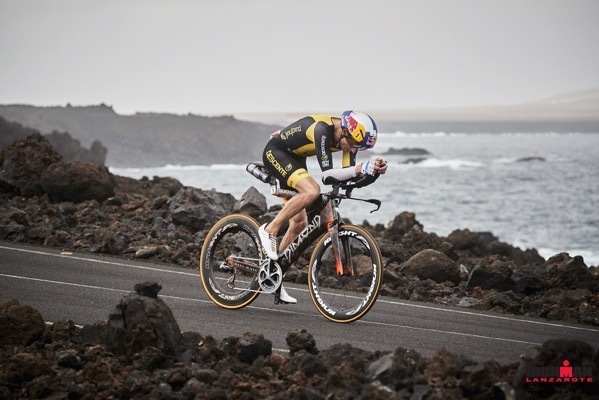 J: Kona 2016 I got caught up and rode too hard up the lead group, and that cost me on the race for sure. In 2017 I actually was racing great until I saw Matt Russell hit that car. I had a decent start to the run too, but I think nutritionally and physiologically the heat and adrenaline got the best of me. Kona is a super unique environment that is literally the worst race possible for my strengths and weaknesses. It exposes all of my biggest weaknesses. I think Roth, if the weather is mild, could be a great course for me, so I’ll allow myself to be more aggressive with the hopes of being competitive near the front later in the race. T: What’s the plan for you after Roth? J: I haven’t made any plans yet. I’m going to see how my body, family, and business are doing. If I feel great and the fam/biz is behind it, I may race another Ironman or another bucket list event, but I don’t want to commit to something until I’ve had time to decompress and heal after the race. First on the docket will be relaxing and some beers!